Items below are NEW (unless otherwise stated). Quantities are Limited and Sales are final. Search easily through the complete text of the 2009 IBC®, IRC®, IFC®, IECC®, IEBC® and the ICC/ASNI A117.1-2003 standard Codes® in PDF format using Adobe® Reader® version 8.0 or later. View all of the text, illustrations, figures, equations, tables and margin rulings. Bonus material included! Helpful resources such as: excerpts from code references, historical background on code changes, informative articles from ICC's Building Safety Journal, Internet links to many useful tools, and much more..
A fully integrated custom code based on the 2006 International Building Code® (IBC®). The scope of this code covers all buildings except three-story one- and two-family dwellings and townhomes. Using the 2006 International Building Code and 2006 International Residential Code® as its foundation, the DEWALT Building Code Reference provides users with 80 pages of illustrated code requirements, violations, and installation concerns. Written in accordance with the 2008 National Electrical Code, this new book provides readers with a comprehensive introduction to the essential elements of electrical grounding and bonding. It examines the critical concepts of calculating conductor sizes, reading and interpreting NEC tables, the use of grounded conductor connections in DC and AC systems, as well as various installations and sizing. Material is reader-friendly and is accompanied by straightforward, easy-to-understand explanations of key concepts that foster understanding. A functional use of color and dynamic illustrations augments the book and further supports this thorough student- and professional-level approach to electrical grounding. Updated to reference the 2008 National Electrical Code, this edition of Electrical Wiring - Commercial guides readers step-by-step through the basics of commercial wiring. With a practical, straightforward approach, and a new, full-color design that aids in complex wiring diagrams, this book provides more learning tools than ever before for the critical tasks and responsibilities that face today's professional commercial electricians. With new coverage of energy conservation laws like Title 24, as well as updated coverage of today's important concepts like ground fault circuit interrupters, compact fluorescent lamps, motor burnout problems, and 2008 NEC grounding requirements, readers can feel confident they are getting the very latest in industry standards and procedures. A complete set of commercial building plans is also included. Updated to reference the 2008 National Electrical Code, this edition of Electrical Wiring Industrial guides readers step-by-step through the wiring of an entire industrial building, making this an ideal resource for anyone who will work in the industrial electricity industry. With a practical, straightforward approach, the book begins by covering the tasks and responsibilities that face today's professional industrial electricians, including: installation of electrical service, power and lighting; special new construction systems; changeovers from old systems; planning for growth and increased capacity; and periodic maintenance procedures. Specific references to the 2008 National Electrical Code throughout the book shows readers how to incorporate codes and principles into everyday practice and procedures. Learn how to comply with NEC® regulations in this instructive book! One of the most important elements when designing a building's electrical subsystems is compliance with National Electrical Code® safety regulations. Yet, many university engineering curricula do not address this and other essential building codes. For this reason, H. Brooke Stauffer Director of Codes and Standards at the National Electrical Contractors Association, has written this informative introduction to clearly and accessibly steer beginning electrical engineers through the often confusing NEC® regulations. 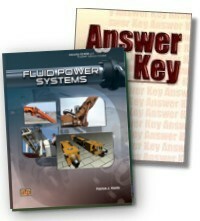 Fluid Power Systems is a text/workbook that presents an introduction to the design, application, and maintenance of hydraulic and pneumatic systems. It features large, full-color illustrations detailing systems, components, and devices specific to industrial and commercial applications. Content includes pumps, valves, actuators, electrical controls, and troubleshooting techniques and focuses on the design, analysis, operation, and maintenance of fluid power systems. A second CD-ROM contains FluidSIM® 4.2 Student Version simulation software that gives the learner an added tool to create, build, and troubleshoot hydraulic circuits. HVAC, 3E covers all aspects of residential and commercial HVAC systems. Topics included are specifically designed for HVAC and building maintenance technicians. includes review questions and activities. HVAC Control Systems contains 26 chapters that cover all aspects of HVAC control systems used in industry. Topics included are specifically designed for HVAC and building maintenance technicians. The textbook provides an introduction to HVAC fundamentals, energy sources, and control principles. Pneumatic, electromechanical, and electronic components and control systems are covered. Extraordinarily comprehensive, this book is completely updated to the 2008 National Electrical Code and continues to offer valuable insight into the Code articles. Explanations are provided for each article in detail, with thorough discussions and practical examples that clearly illustrate how the Code and its most recent changes are applied. Discussions are logically organized into coherent subject groupings, allowing readers to navigate easily through 2008 NEC requirements as well as changes since the last edition. 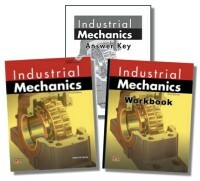 This Series presents an overview of the principles of industrial mechanical systems and the equipment in these systems. All aspects of the systems, principles and equipment, including rigging, lifting, ladders and scaffolds, hydraulics, pneumatics, lubrication, bearings, belts and pulleys, mechanical drives, vibration, alignment, and electricity are discussed throughout the text. This text presents content in a heavily-illustrated style using full-color art. It is organized for easy instruction and presentation of key information. Industrial Mechanics is designed for postsecondary, industrial, and apprenticeship training. Review questions and activities in the workbook provide a variety of assessment opportunities. Jump-start your knowledge of low voltage systems, associated devices, and the methods and terminology of the industry! This introductory, all-inclusive guide combines the basic elements of various low voltage systems into a single source, so that readers gain a concrete understanding of the operation of individual systems - including theory of operation - as well as how they integrate. Easy-to-read content that is written especially for industry novices employs a thoughtful use of layman's terms so that difficult concepts and topics will be swiftly grasped. Introducing the tried-and-true tool to prepare for and pass professional electrical licensing exams. Now in its 7th edition JOURNEYMAN ELECTRICIAN'S REVIEW: BASED ON THE NATIONAL ELECTRICAL CODE® 2011 uses the same easy-to-understand approach and realistic exam questions that spelled success for previous editions but is updated to reflect the very latest edition of the National Electrical Code®. Practice questions that mimic those seen on actual exams guide you quickly and efficiently to mastery of the most critical skills. The text offers real-world applications that an electrician is likely to face in the field and combines that usage with the theoretical content in the textbook. Includes a CD-ROM with Quick Quizzes™, an Illustrated Glossary, Media Clips, and Reference Material. The third edition of Residential Wiring is a practical introduction to the general wiring principles, methods, installations, calculations, and service equipment used in 90% of dwellings. Stallcup's® Illustrated Code Changes simplifies this process using clear, concise explanations and detailed full-color illustrations to explain the 400 broadest revisions. Following the organization of the 2008 NEC®, Stallcup reviews each change in numerical order to correlate with the "Articles" and "Sections" as they appear in the Code in an effort to maximize student comprehension and make navigating the NEC® quick and easy. The 2011 Edition of the National Electrical Code® contains a range of complex revisions that electrical personnel and students must be made aware of. Stallcup's® Illustrated Code Changes simplifies this process using clear, concise explanations and detailed full-color illustrations to explain hundreds of revisions. Following the organization of the 2011 NEC, Stallcup reviews each change in numerical order to correlate with the "Articles" and "Sections" as they appear in the Code in an effort to maximize student comprehension and make navigating the NEC quick and easy. A Practical Guide to National Electrical Code® Basics! The 2008 Edition of this best-selling text provides both students and practicing electrical professionals with a comprehensive introduction to the National Electrical Code-including detailed explanations on how the Code is structured, organized, and applied. Fully revised for the 2008 NEC, this textbook combines thorough instruction with a conversational writing style, full-color illustrations, and actual Code excerpts to create a guide that helps readers easily navigate the Code and its changes. Ugly’s Conduit Bending is a quick, on-the-job reference specifically designed to provide the most commonly required information on how to properly bend conduit, including information on bending types and techniques. An ideal tool for electricians, contractors, instructors, and students, this essential pocket guide uses diagrams, calculations, illustrations, photos, and quick explanations to ensure bending is completed safely and correctly.